We have different criteria of Reviewing Paid training. We encourage participants of paid training to give 1st review after training and second review after 6 months of training completed. I am a final year MBBS student and a passionate blogger…. Today i am gonna tell you my blogging background along with M Tanveer Nandla event blogging training review. 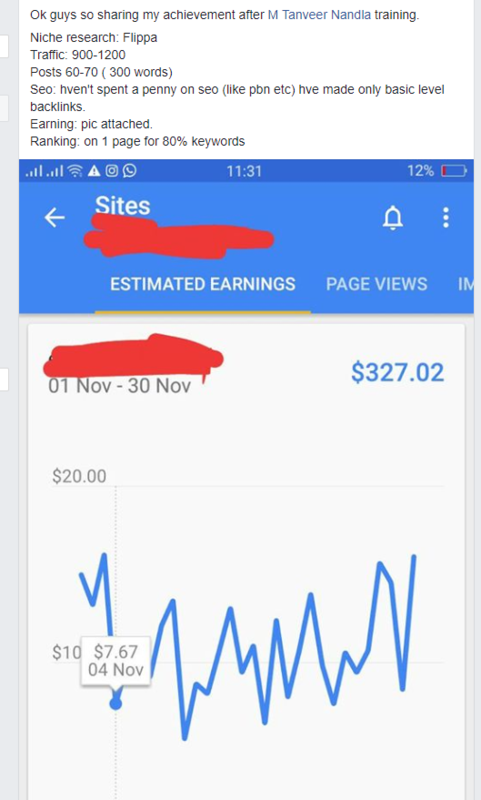 So, it all started in 2010 with a google search “how to earn online” at that time i think i was in matric….I found few PTC (paid to click) sites…worked for few months and then left because i realized that this is the waste of time for me…. then during fsc 1st year i again searched a lot about online earning and found another way that is called paid to post forums….i joined few of them but the one that i regularly used and got so many payouts from was golden talk…. In that forum i learned a lot about blogging, freelancing etc…and then i started using google again to search about blogging…. any question that would arise in my mind, i would google it and came across many great blogging and SEO blogs….i used to bookmark all the great blogs and used to read them regularly…. From mybloggertricks to probogger.net, i used to read each and every blog on daily basis…. This continued for 6 months….when i released that now i have enough knowledge and i can start a blog now….that was november or december 2013 when i started my first site…. At that time i did a lot of mistakes….like i started 3 sites/blogs at a time and all of them were on online earning/blogging niche which was (and is) very competitive…. i posted hundreds of articles that i used to write myself very passionately but was not doing any offpage seo (marketing). All of my 2nd year fsc, i used to spent most of the time in college computer lab where i used to write content (as i was not allowed to use pc for long hours in home)…..
You can realize my passion for blogging from the fact that most of the people who dont earn after few months quit but after one year when my hosting and domains are about to expire and i hadnt earning a singly penny from my sites, i took all my savings from pocket money (they were in the form of prize bonds) and paid the hosting and domains renewal fees…..
after my 2nd year exams i had to quality entrance test for medical (MBBS) and i quit blogging for 3 months (that was not permanent…i had to start it again after the test)…..
then i qualified the test and got selected in MBBS….this was the turning point for my blogging career as well…because on the very next day of admission in medical college, i started a new blog in medical/health niche….there i found almost zero competition keywords and the site growth was exponential…after few months the site was earning like 500-700$ pr month….it was 2014…. my growth in blogging was quite great but then my passion increased towards event blogging in 2017….and i decided to try my luck in that as well…. at that time M Tanveer Nandla was launching his paid training about event blogging…so to gain some more knowledge and learn about event blogging quick (when i learned blogging myself, it took 6 months) i decided to join the course….me and my younger brother Mudasir Khan Yousafzai enrolled in the course…. at that time (before start of training…i was making like 2k$ pr month having a team of 2 writers as well). when i took that classes, i released that some of my basic concept was wrong….like what is bounce rate….if you ask this question from many so called experts, i am pretty sure that many of them would give wrong answer…. then i learned about fellow keywords in event blogging….this term if you search in google, u wont find any relevent results i think because this term is introduced by M Tanveer Nandla and its an awesome way to get some good traffic in event…. i started a site about eid ul adha during the training (before offpage lectures) and ranked all the keywords in only one month…. then came the offpage….and for the reason which i joined the training (nandla strategy) was amazing….. In onpage…i also learned a totally new thing that is called schema…. 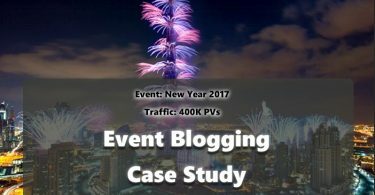 recently one of student Mirza Fahad covered a local event under my supervision and got a max of 13k real time traffic on that (from webmasters tools we realized lately that we lost around 66% traffic due to server crashing again and again and the real time could easily cross 40k as well)….. 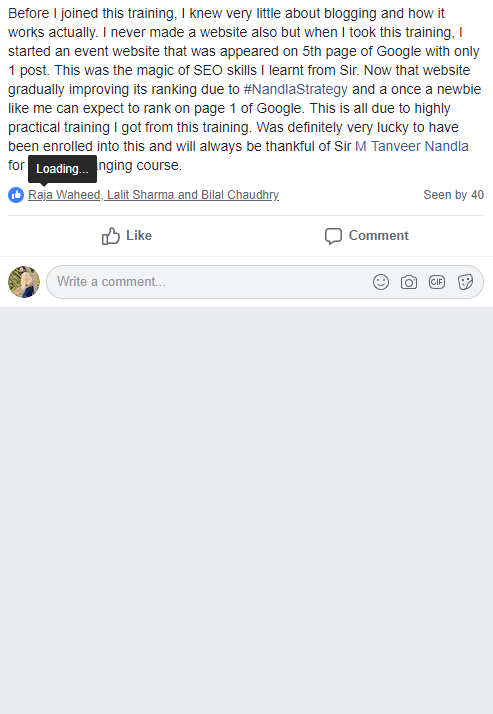 So, my review about this training is that….if you are a totally newbie that you can join it without even thinking for a second….but if you are already earning and have ranked some sites and wants to increase you knowledge than this could be the best investment…..
Not to hurt anybody’s feelings-Just to motivate u by sharing my story k mai kitna na’laik hn. Just motivation. If I can do it, trust me aap chutki baja k kar jao gy. No buttering, no complicated English. Just an effort to motivate other. Aur koi motive nhi. And ALLAH knows the best. I clearly remember the day and time when I was celebrating my birthday On Jan 15, 2017 in Karachi. There I heard 1st time about the term online earning. At that time even it was hard for me to believe. I have started exploring, searching people, discussing things, googled topics, watched videos on youtube, kept on wandering here and there but couldn’t find the correct person as none of my friends or any relative was directly into the filed of such known terms like freelancing, blogging, youtubing bla bla bla. The whole process took almost 6 months, i have got some know how but there was lack of guideline, a formal mentor, a proper person was missing. I have been through these days. Till that time my mind started accepting that online earning is possible dude but it’s not easy and you cant do it. But I had believe that if these people are doing then why can’t me. People usually see, but i have felt dark nights in the days in my hearts, in my soul when after watching different things and trying them but not being able to convert in the end. 😉 but it was the affiliation, respect and love for him, though he didn’t know the scene behind that. Finally Event Blogging course started but again twists and turns didn’t let me excel in this field. Once again life gave me 2 choices, but that’s a separate story. Sir Knows that. I got away from blogging from some time due to my other professional commitments. But once again started working. 1st project failed badly due to a tragic accident. I didn’t felt bad on it because at that time I have gathered so much motivation that i was waiting for the failure as i had believe now that success is guaranteed after failure. Once again I started following Sir on regular basis, opened my register, formed my team as till that time and till now I can’t say that i am an expert blogger, i am a student and i always want to be recognized as a student. Good relations developed in this group. Alhamdulillah we have built a team and started working in good coordination with eachother. Kept on discussing with the mentor and seniors here i would Specially mention the name of Dr. Hamza Arshad he is an amazing person. There are v few gems i have seen in my life, as this person is. As far as I remember, I has started working professionally on blogging in the start of Jan, 2018 and Alhamdulillah till mid Feb Sir Confirmed that our site has got ranked 😪😪😪 and alhamdulillah getting 100+ real times visitors which is a success for me because one year ago i didn’t know that Keyword kis cheez ko kehtay haen. So I have started totally from scratch. It was a highly emotional moment for me. I started recalling those 6 months of struggle when i didn’t know anyone, i have felt many times that i am just blogging arrows in the dark, it’s on no use. Many times I kept on quitting. Now for all my dear friends who are yet struggling, trust me, there is nothing special that me and my team have practiced. I have notes of Sir M Tanveer Nandla always with me. We have just followed the mentor. Nothing done special, kuch bhi aisa nahi kia jo k out of training that. You people remember that when i joined the training i have posted that, “you have come here to learn blogging, i have come to learn Nandla” (what makes this man so special). I have just followed the mentor. It was blessing that i was part of a wonderful team, we worked as unit in close cordination with eachother, i had business knowledge, my team had technical knowledge. Today we are more then happy with our lives. Alhamdulillah Alhamdulillah Alhamdulillah. Here I would specially thank my team members. You people are amazing, we have finally made it, special credits to محمد عبداللہ اطہر، Sufyan Ali and Dr. Hamza Arshad. Keep things Simple!!! Make it a moto. If you are still thinking, trust me, stop thinking, start doing. You are v close to your success. Trust me. Aaj mujhay samajh aya the meaning of tagline of Nike. I know that i am amongest the least ranked persons of this group but there is a believe that one day i’ll be the top performing person of this group. Lots of best wishes and heartiest prayers for each and every member of this group. —- I am not sharing any screenshot because for some, it’s the motivation but some take it as their failure and a sense of inferiority complex develops in them. I have experienced the 2nd scenario. Never Ever Underestimate ur abilities, never stop believing. U’ll do it one day…. Ok guys so sharing my achievement after M Tanveer Nandla training. Seo: hven’t spent a penny on seo (like pbn etc) hve made only basic level backlinks. Before I joined this training, I knew very little about blogging and how it works actually. I never made a website also but when I took this training, I started an event website that was appeared on 5th page of Google with only 1 post. This was the magic of SEO skills I learnt from Sir. 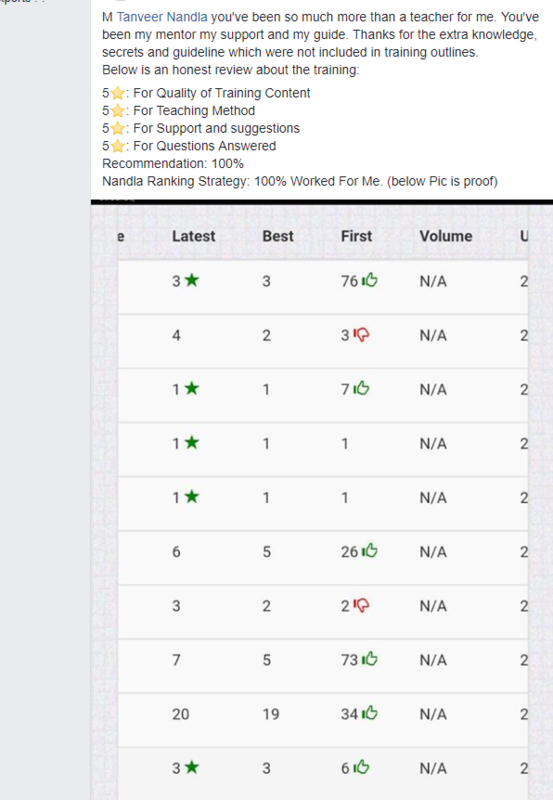 Now that website gradually improving its ranking due to #NandlaStrategy and a once a newbie like me can expect to rank on page 1 of Google. This is all due to highly practical training I got from this training. Was definitely very lucky to have been enrolled into this and will always be thankful of Sir M Tanveer Nandlafor this life changing course. M Tanveer Nandla you’ve been so much more than a teacher for me. You’ve been my mentor my support and my guide. Thanks for the extra knowledge, secrets and guideline which were not included in training outlines. sir M Tanveer Nandla ki training join karny se phly mujhe kuch nahi aata tha but ALHAMDULILLAH sir ke training se bhot kuch learn kiya. Sir nay niche selection se le kar off page tak har 1 topic ko bohat detail main samjaya. sir nay live case studies share ki or har wo method share kiya jo sir nay khud apply kiya hua tha. sir ka way of teaching bhot zabardast or friendly hai. sir bohat humble insan hain. course module main diya gya har topic sir nay bohat detail main cover kiya. is training k baad mene kiya earn kiya to wo ap log screenshot main dekh sakty hain. 1 micro niche website start ki than us website main 1 event k kuch keywords ko cover kiya. is waja se meri us month ki earning kafi achi rahe (ALHAMDULILLAH). zayada kam na karny ki waja meri health problem hai. otherwise results or achy hoty. is training ki sab se best cheaz hai sir ki 6 month support. sir training main to bolty hain k wo 6 month k liye support dien gay lakin 6 months k bad b sir se jab b contact kiya sir nay help ki. ALLAH ka shukar hai k sir tanveer mery teacher hain. sab groups members ka shukariya khas tor par Hamza Arshad bhai or Be Pk ka jinho nay meri bohat help ki. More Review will gradually be added. Join Facebook Group for discussion and support.